This post is sponsored by Shutterfly. I received product in exchange for this post, but all opinions are 100% mine! Hey, y'all! Happy Monday! (Well, as happy as any Monday can get.) I have a great post for you today that contains a freebie AND a giveaway in which there will be TWO winners! 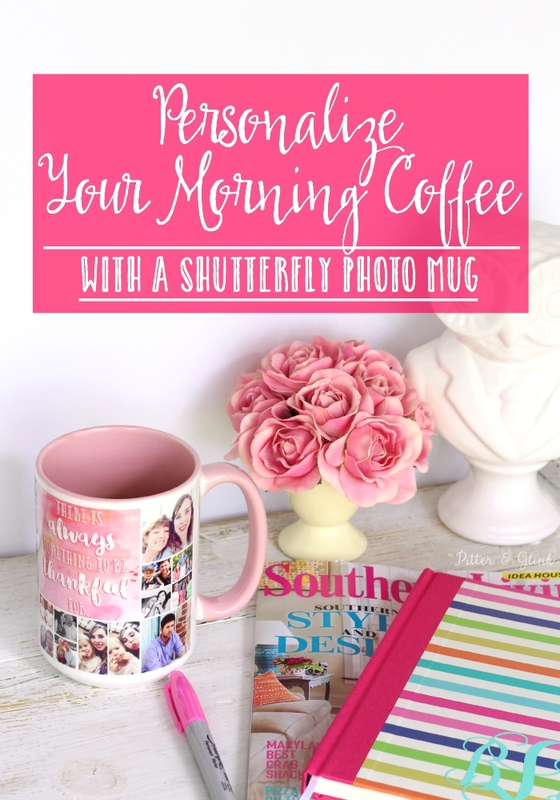 Shutterfly recently sent me a ceramic photo mug to review, and they were kind enough to offer two coupon codes for free mugs that I get to give away to two of you lucky people. I have to say that I adore my mug. I love that I can now drink my morning cup of coffee from a personalized mug featuring faces of my favorite people and a quote that inspires me. You can download the free quote graphic that I designed for my mug later in the post, but first, let me tell you all about my new mug. I must confess that I don't have a lot of cute coffee mugs. Most of my mugs are plain white or they feature my college logo, so when when Shutterfly offered to send me a photo mug, I jumped at the chance. 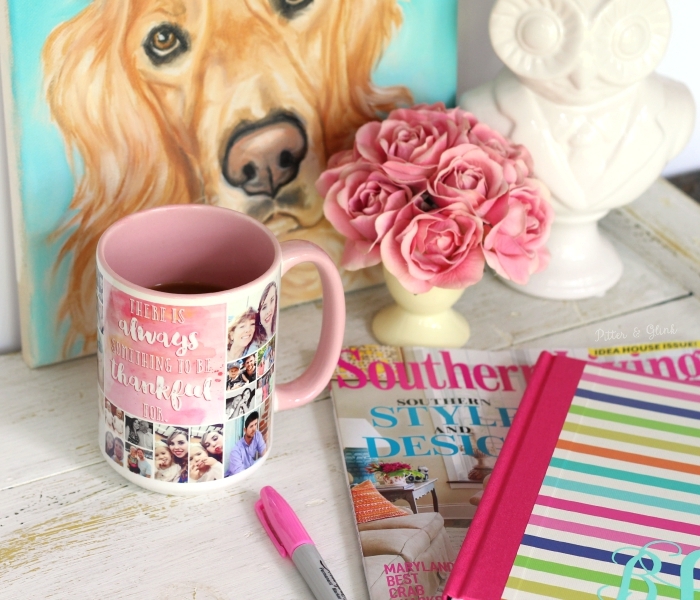 If you have followed my blog for a while, you know that I'm all about pink and pretty and personalized, so I was so excited about getting to design my own mug and make it GIRLY! I hurried over to Shutterfly.com and started looking at all the ceramic mug designs. I finally settled on the Collage Squares Mug because I wanted to put as many pictures on my mug as possible. 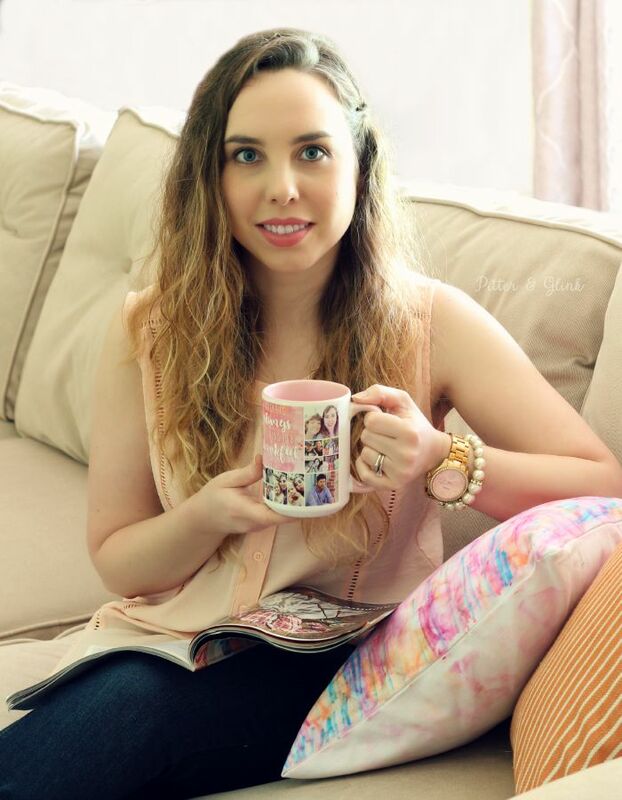 I love that I was able to upload photos from not only my computer, but my Facebook and Instagram accounts as well, to use in my mug design. When I had all the photos in the design, I realized that I wanted a quote on my mug too, so off I went to design a quote graphic that would fit in my mug design. If you'd like to use the graphic for your own mug design (or just to print out as a reminder to be thankful), you can download your own copy for free HERE. (You can download the JPEG, the PDF, or both.) Once I uploaded the quote graphic, my mug was perfect! I previewed it and placed my order. When my mug arrived in the mail, I was so excited! It was so me! It's a great size, and it fits perfectly under my single-cup coffee machine. I love drinking out of it. So now that you probably have full-blown mug envy, let's talk about all the giveaway details so that you can enter to win your own 15 oz. 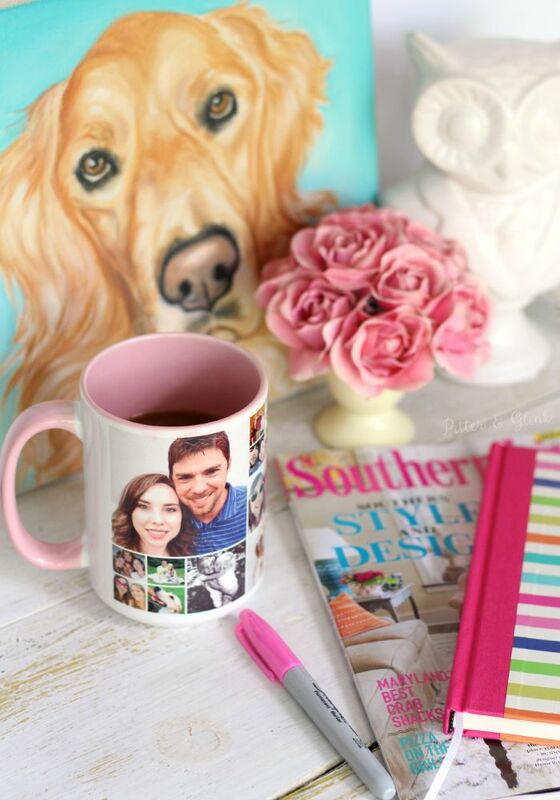 Shutterfly ceramic photo mug! This giveaway is open until 12 AM August 19, 2015 and is open to residents of all countries where Shutterfly ships. (See the list of countries Shutterfly does NOT ship to HERE.) Two winners will be randomly chosen to win a coupon code for one 15 oz. ceramic photo mug. Winner must pay shipping. Winners will be notified via email and will have 48 hours to respond to the email to claim their prize. If no response is given, another winner will be chosen. Thanks for the chance to win! I love Shutterfly so much! 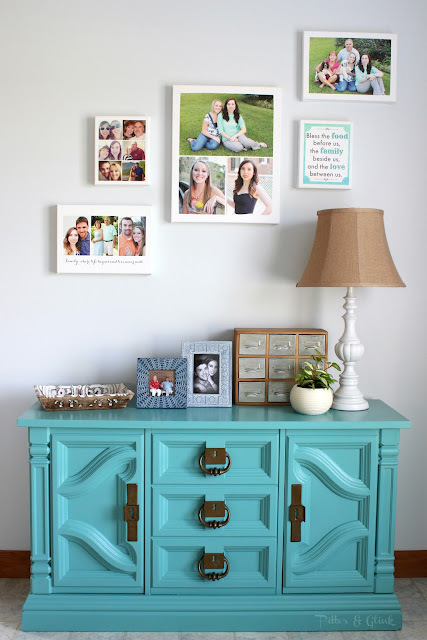 Such beautiful pictures! I love all the pictures on your mug, too! 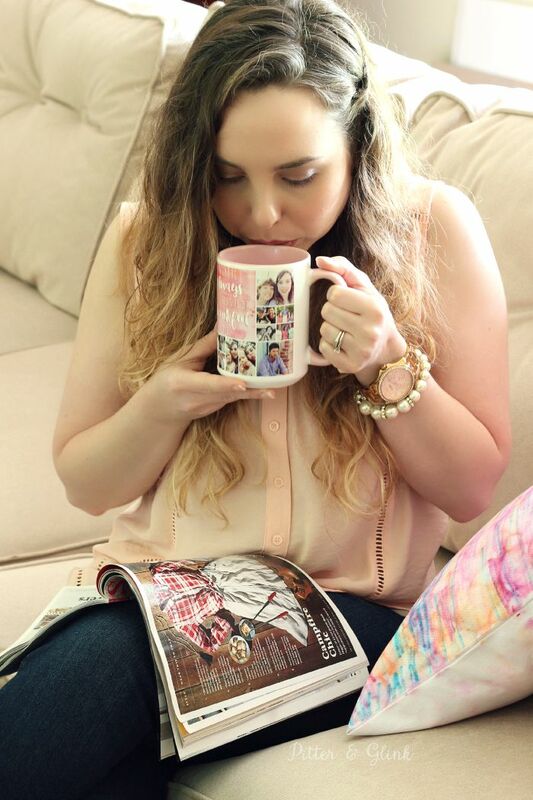 Hi Bethany, I love the picture of you holding the mug, it is a great picture of you (actually.... I love all of the pictures in your post!). I also love the mug. Pink is one of my favorite colors, too! Thinking about you as you get ready for the new school year.